Just last week, we saw the Moto G6 trio of upcoming phones leak out and today, the most affordable of the bunch, the Moto G6 Play gets revealed in even more detail. The Moto G6 Play is expected to be the most affordable of the trio with the biggest compromise being a 16:9 aspect ratio screen in place of the taller, edge-to-edge screens on other models. The other notable thing is that the G6 Play is expected to have a single rear camera, while the other G6 devices should come with a dual camera array on the back. 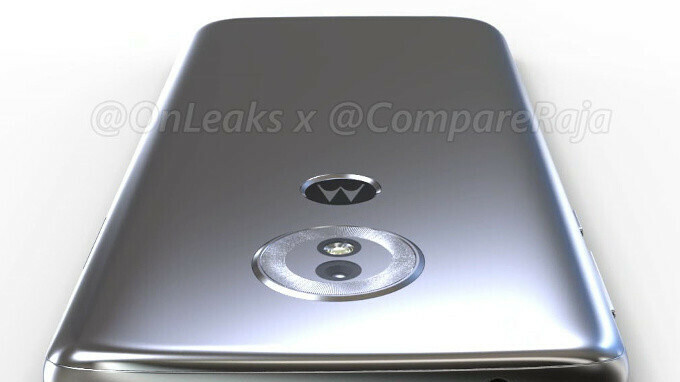 Interestingly, it is said to have its fingerprint hidden in the Motorola logo on the back, while the other two will have a fingerprint scanner up front, below the display. Despite its lower price, though, the Moto G6 Play could actually have the biggest battery of all three new G6 series phones: a 4,000 mAh cell that holds a lot of promise. Motorola is expected to launch the Moto G6, Moto G6 Play and Moto G6 Plus at Mobile World Congress at the end of February, and the three devices are all said to have a brand new glass-and-metal design, similar to that of last year's Moto X4. The G6 Play in the pictures is 16:9, i do agree that it's ugly though. What an ugly phone . Honestly, I don't mind the look too much. I do wish it had an 18:9 aspect ratio though. The deal breaker really is that horrible SD 430. No phone no matter how cheap should be running anything less than a 600 series chip in 2018 at the minimum. You don't know much about smartphone tech do you ? Snapdragon 4xx series is for the entry level Snapdragon 6xx series is for the mid-range And Snapdragon 8xx series is for the flagship phones.